If you’ve been paying attention to the news this last week then you’ll be only too aware of the problems facing London Mayor, Boris Johnson. Being born in New York and holding duel UK and US citizenship, and although he has not lived in the US since childhood, under US law, all US citizens are required by law to pay their tax and Boris is no exception. 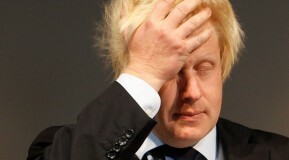 Landed with a huge capital gains tax for the sale of residence he sold in the UK and which incidentally was not taxable in the UK, Johnson faces prosecution for the ‘willful failure to file a return, supply information, or pay any tax due’, according the American IRS rules. Although the London Mayor is refusing to pay tax that he and thousands of other US citizens abroad are facing demands for, trips to the US are not going to be as easy for Boris as they have been in the past and he could even face detention when he next arrives at JFK airport. For advice and help on income tax, personal gains tax and even international tax legislation, click here to get in touch!